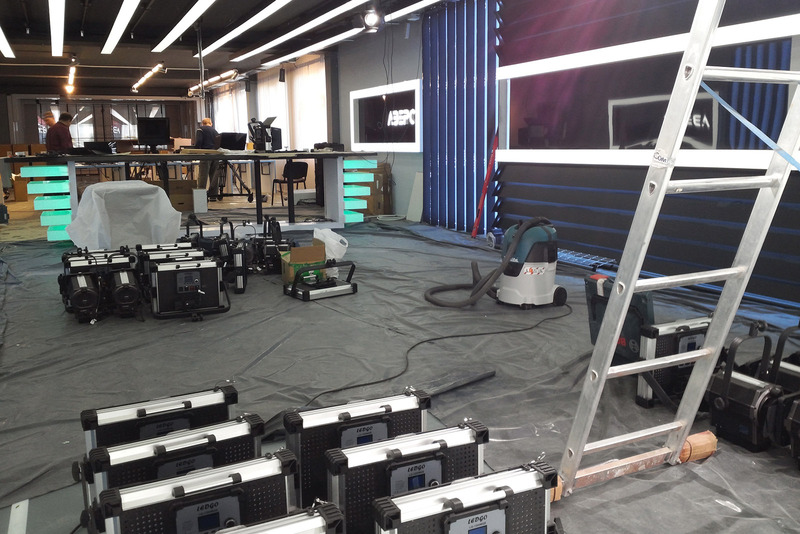 Mission: : complete technical re-equipment of the ASB. 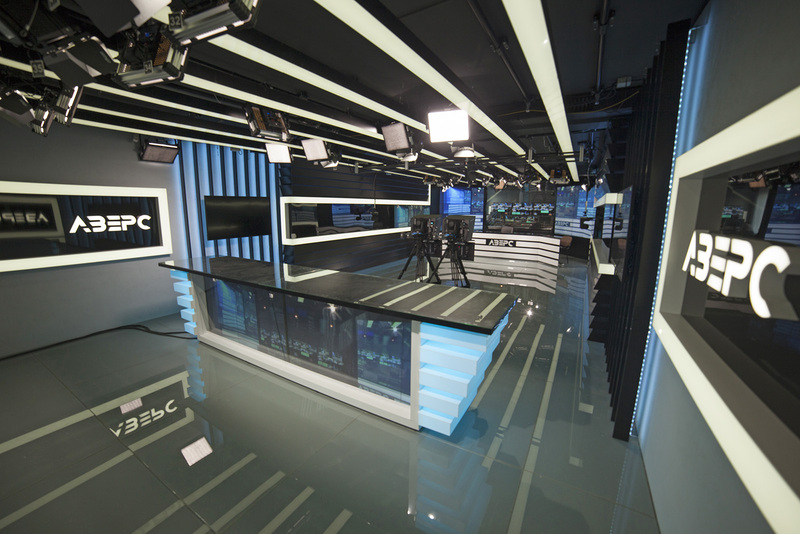 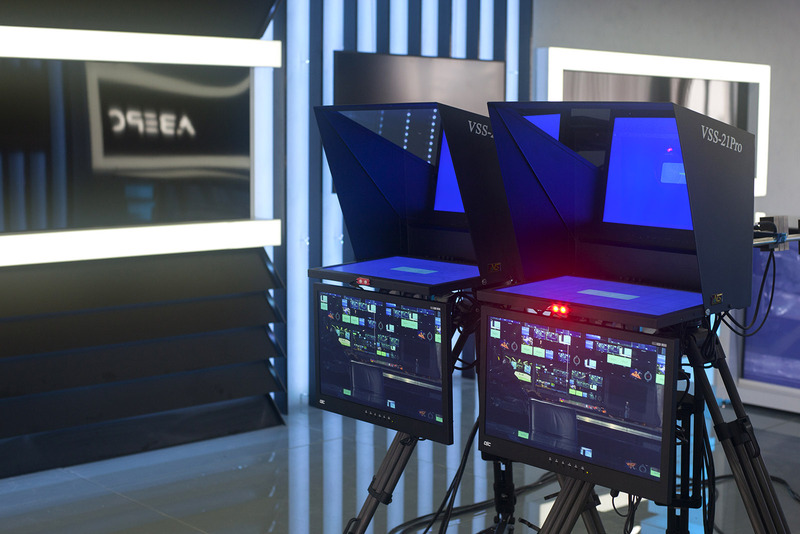 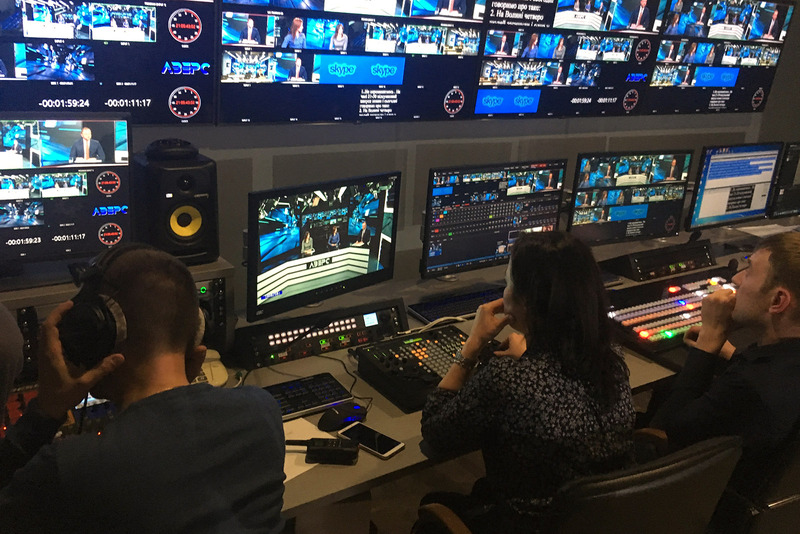 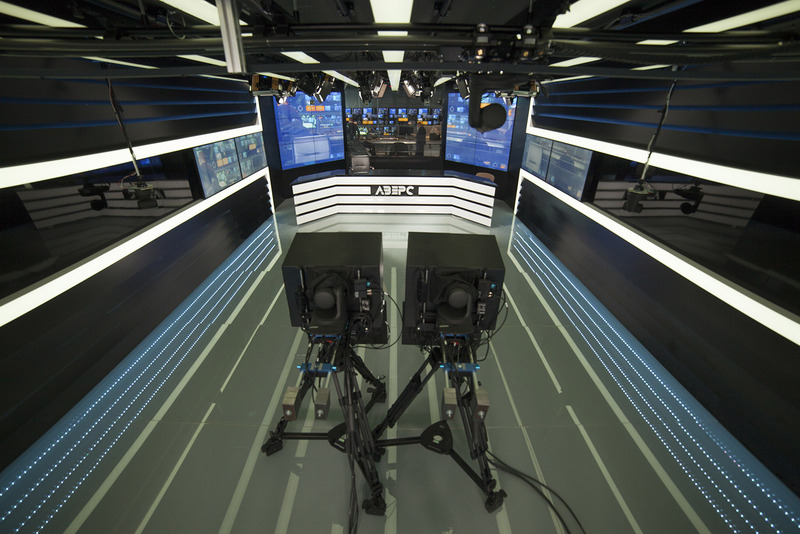 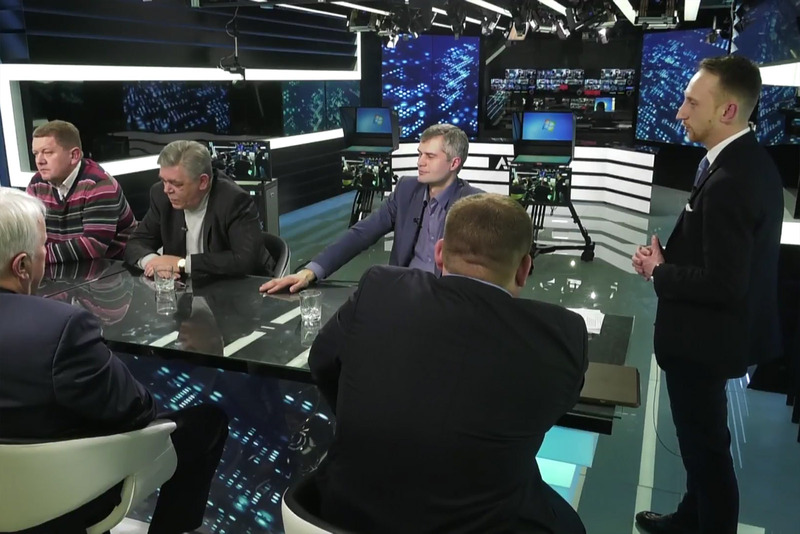 Results: the kernel of АSB is built on the base of the integrated production system Tricaster TC1 from a company Newtek with complete reserve, to the providing work studio and all necessary functionality for on-air work. 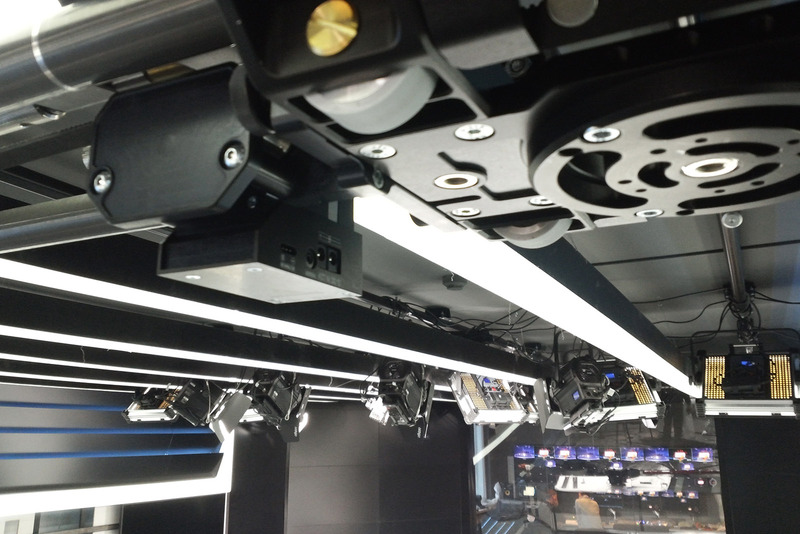 For the transmission of signals both the classic SDI interface and newest IP interface NDI is used. 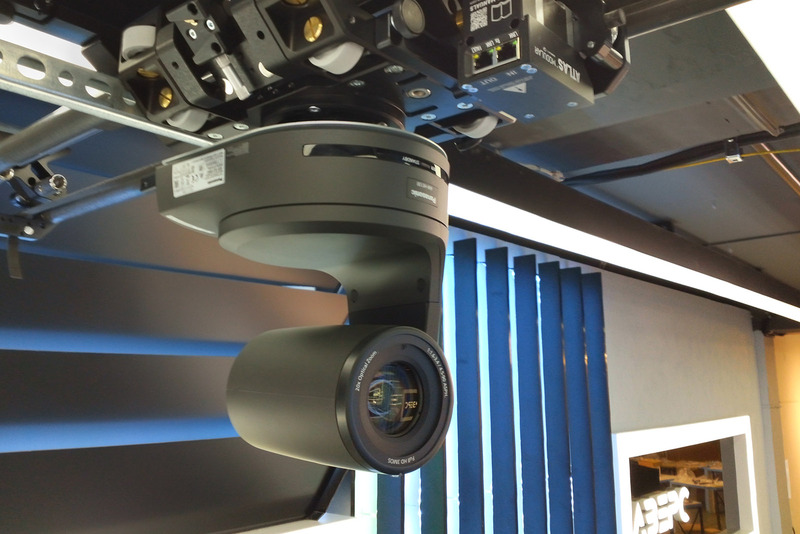 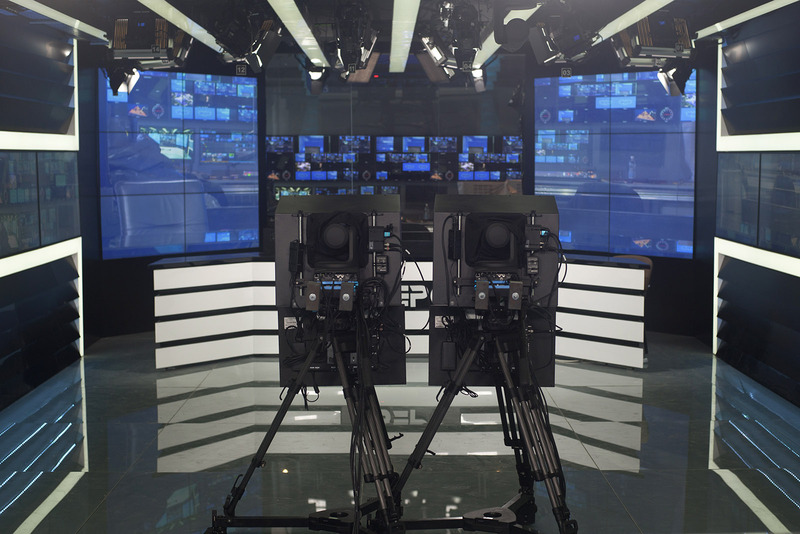 PTZ cameras Panasonic AW- HE130 are set in a studio and integrated in the Tricaster (management accessible both from a separate swicher and from the Tricaster, including the transmission of signals of Tally). 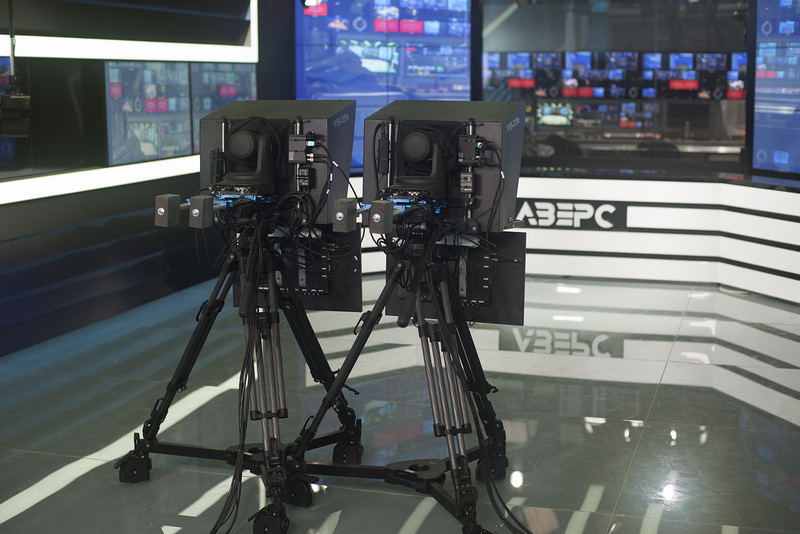 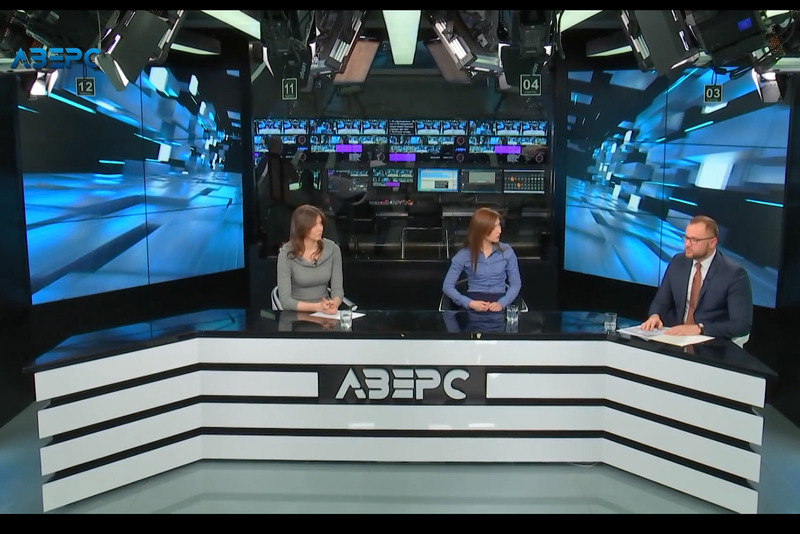 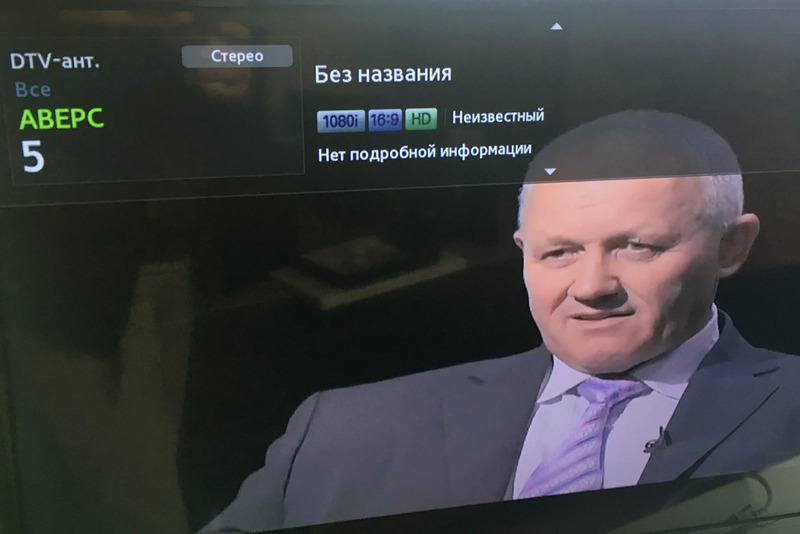 The graphic system is executed on the base of built-in functionality of Tricaster on forming of graphic arts. 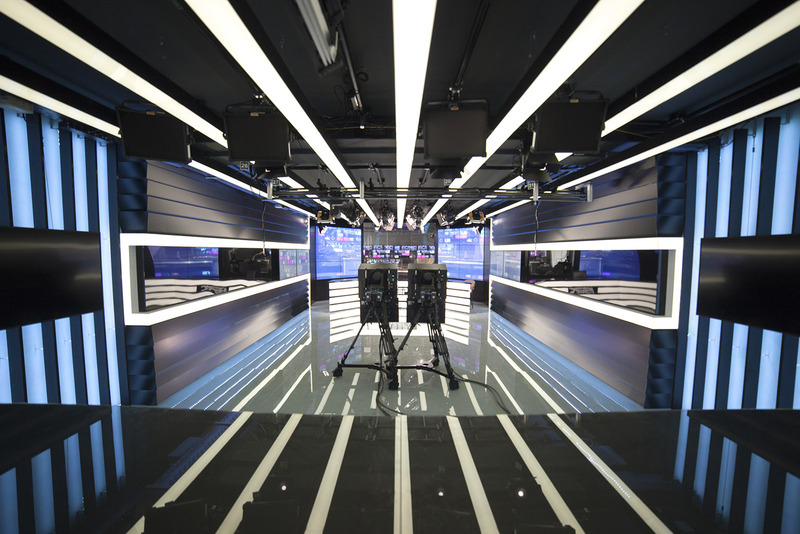 Additional graphic possibilities are provided by the CharacterWorks, in particular filling of videowalls. 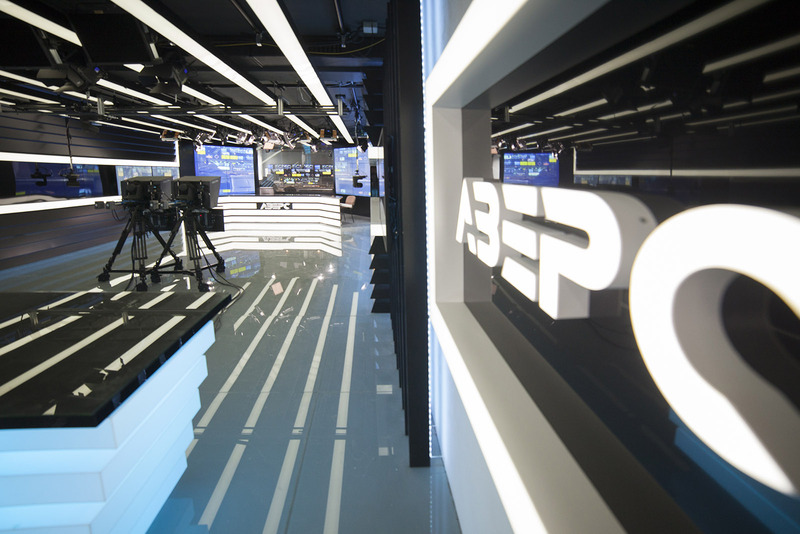 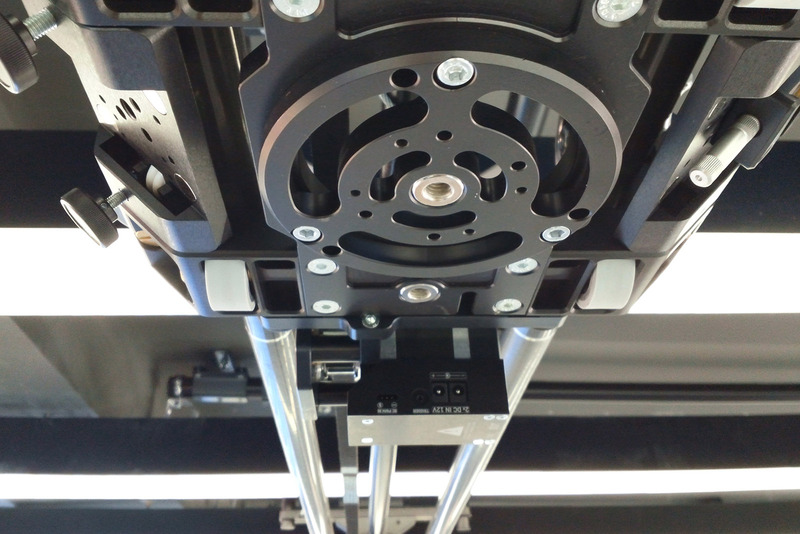 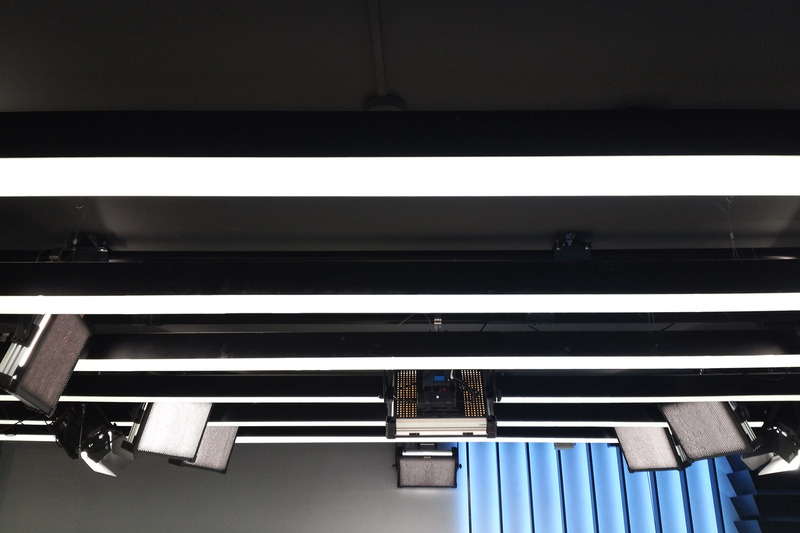 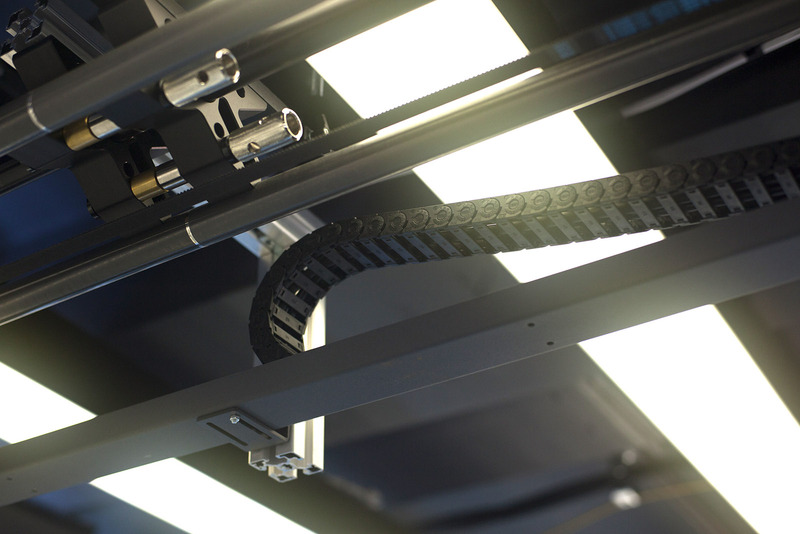 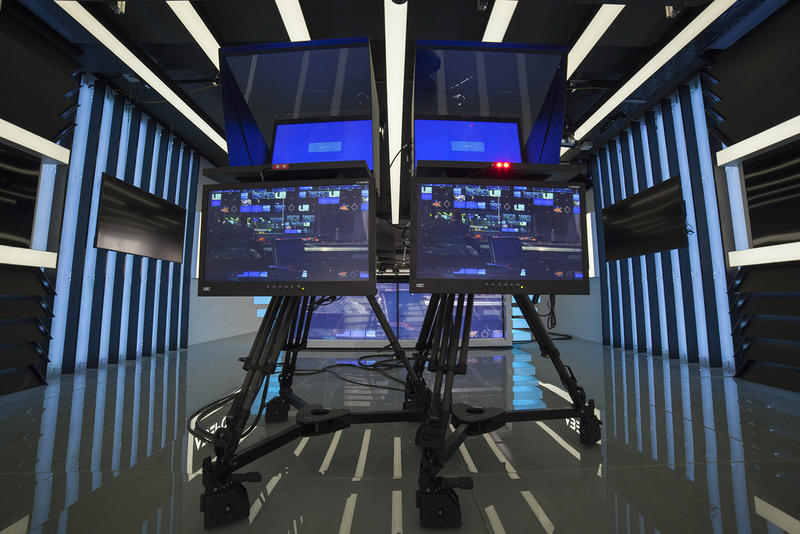 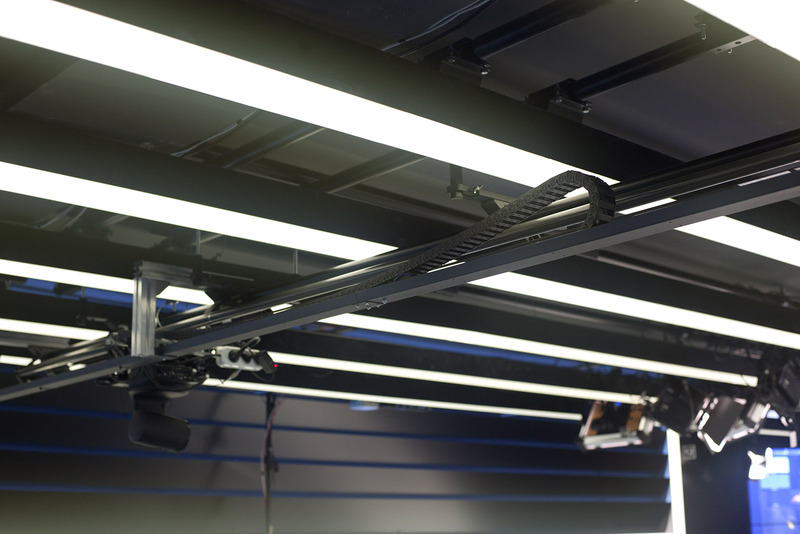 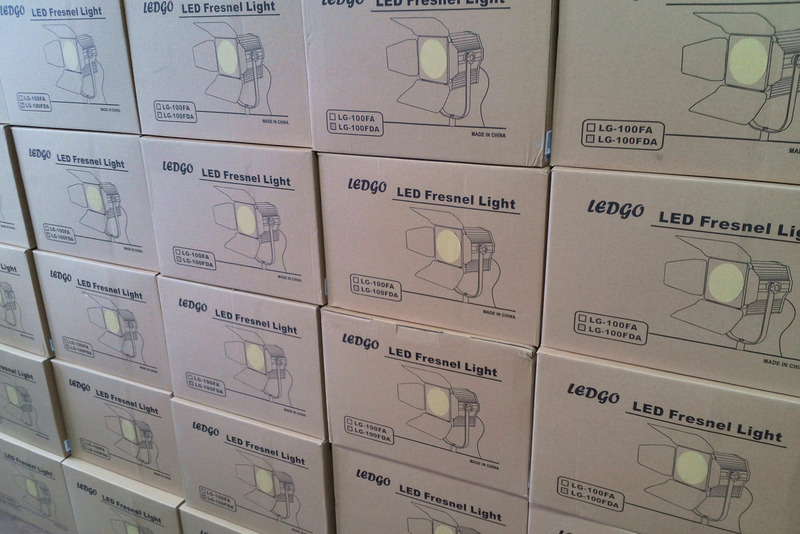 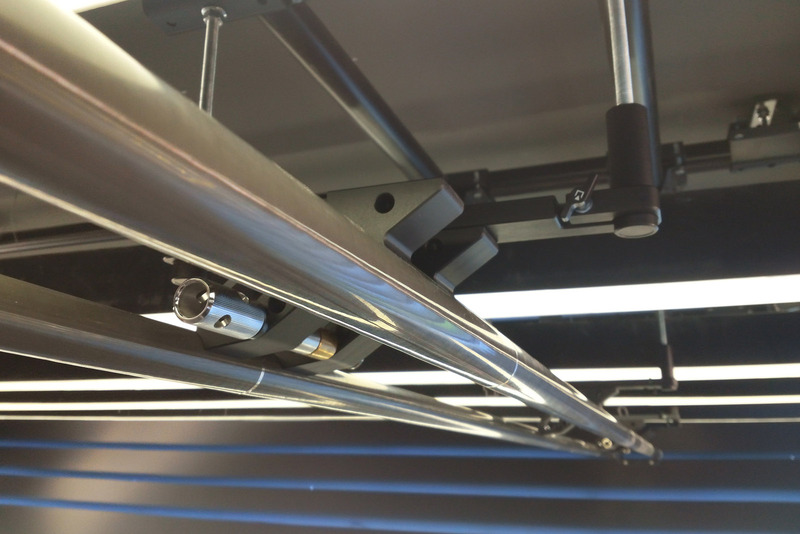 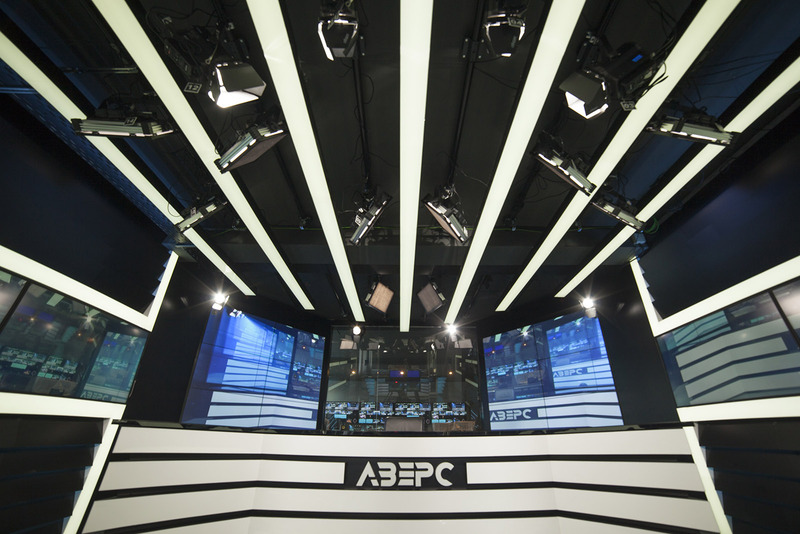 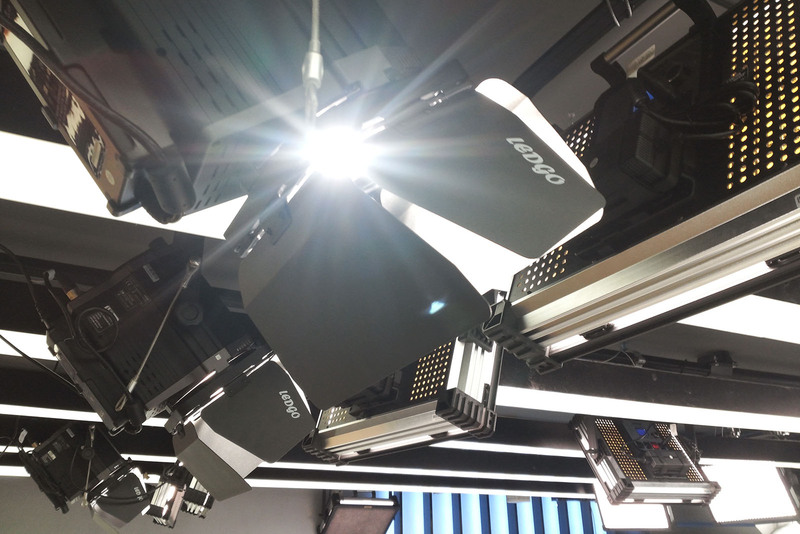 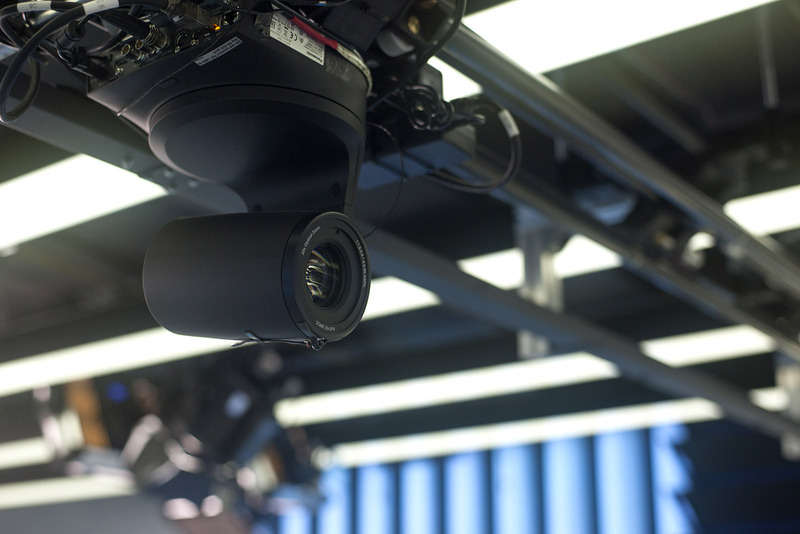 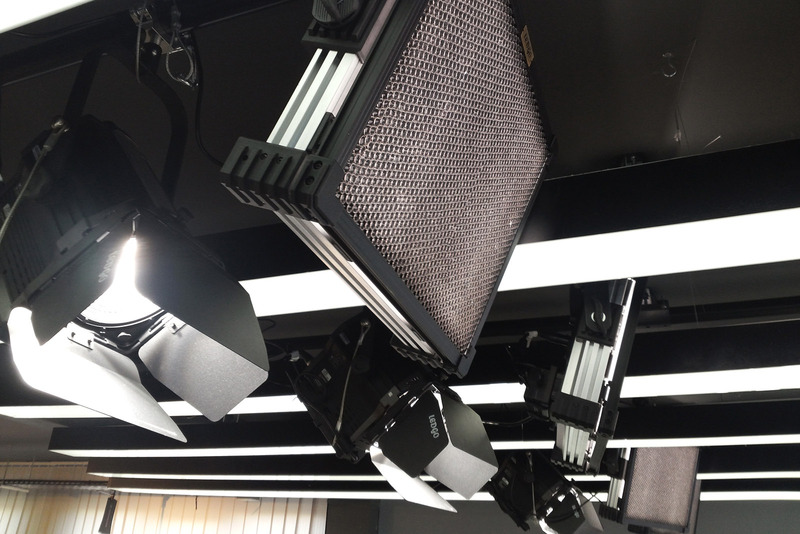 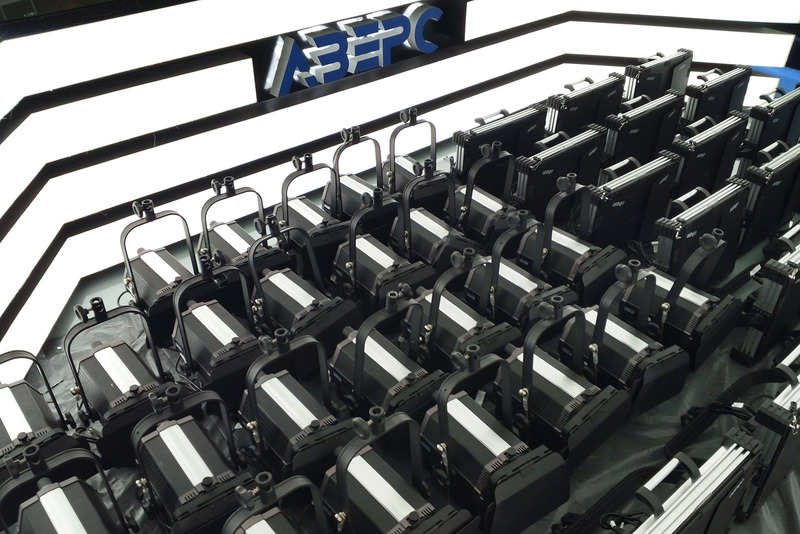 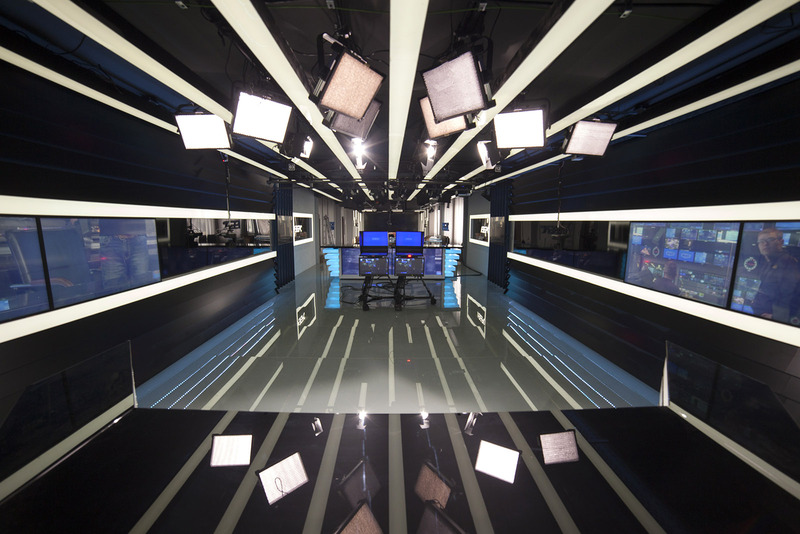 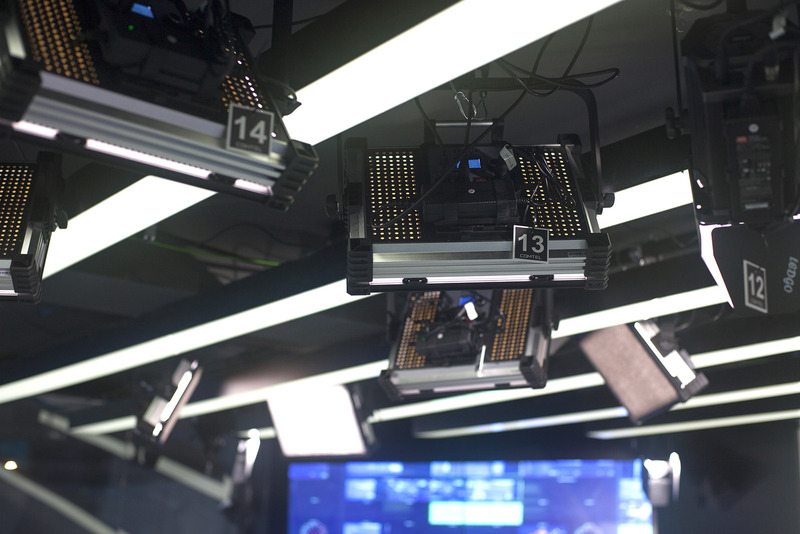 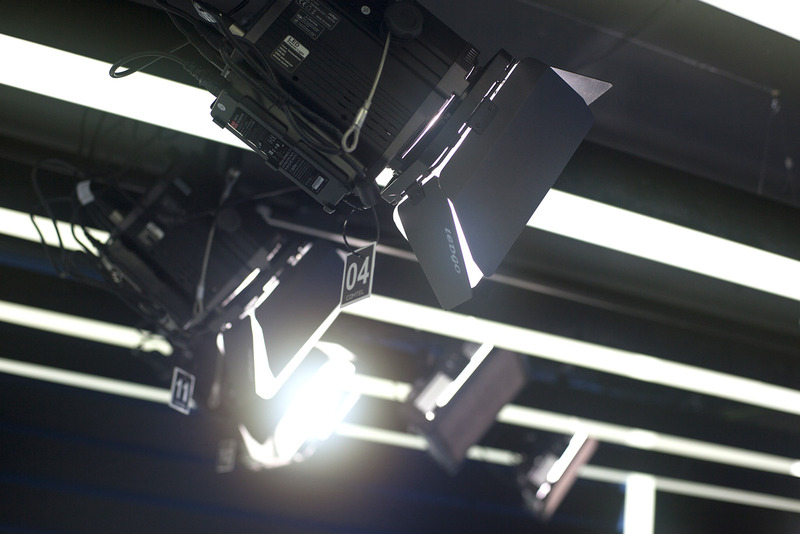 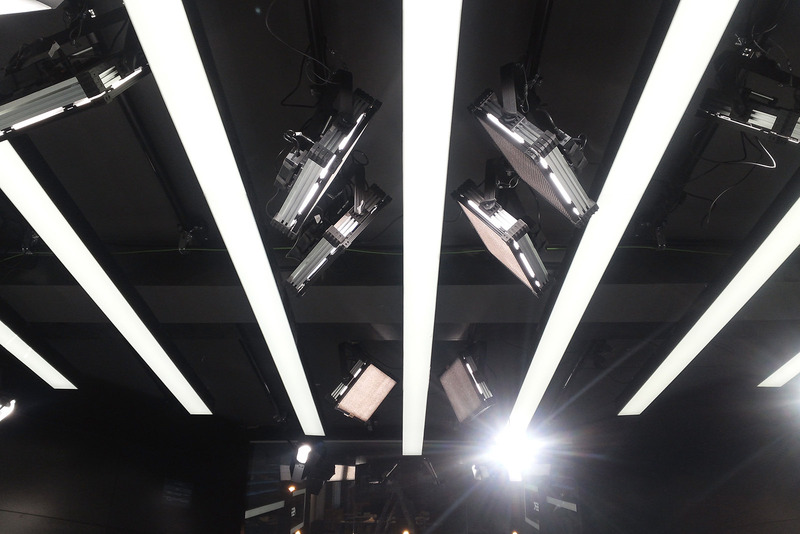 The studio lighting system is built using a new generation of LED lighting products - Ledgo panels and fresnels. 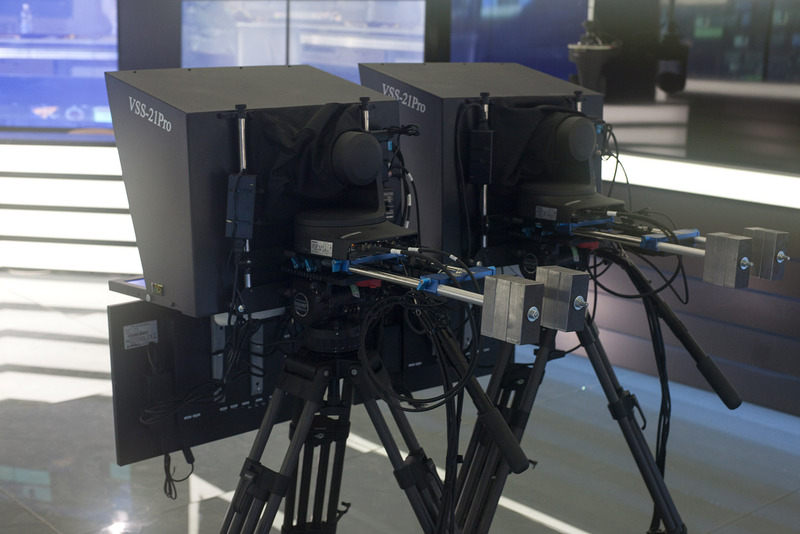 Secced tripods, Videosolutions teleprompters, and a 4-meter motorized slider Atlas with a remote control from Slidecamera are also used.